A blog is an informational web page or website consisting of discrete entries ‘posts’ typically displayed in reverse chronological order, the most recent post appears first. Usually blogs are the work of a single individual, occasionally of a small group, and often covering a single subject per post. do you really want to invite comments. Your blog page can be scaled to suit your business requirements. We can create a simple web page just for you and served direct from your website. You can have the option of presenting your blog information with the basic functionality of a full blown blog but without inviting open comment. This provides a greater degree control and you don’t have to monitor comments. Alternatively, a fully functional blog like WordPress is another common option, and we can embed a full WordPress blog directly into your new website. Meaning that your readers don’t leave your site to read your blog and the URL remains clean, yet you have the controls. 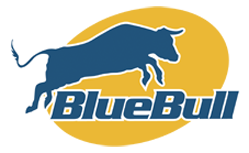 With BlueBull the choice is yours. Either way, call us today to discuss your requirements and let’s find the right balance to suit your needs.